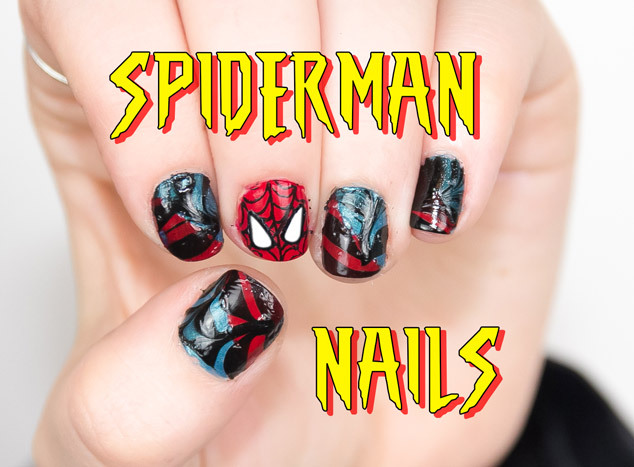 In this Spiderman nail art tutorial video I show you my own take on Spiderman nail art. You can see my other nail art videos here. The Amazing Spider-Man 2 has just been released so I decided to recreate this theme on my nails with the iconic colours and graphics. There are many designs but this tutorial uses modern looks and water marbling nails to create the effect. 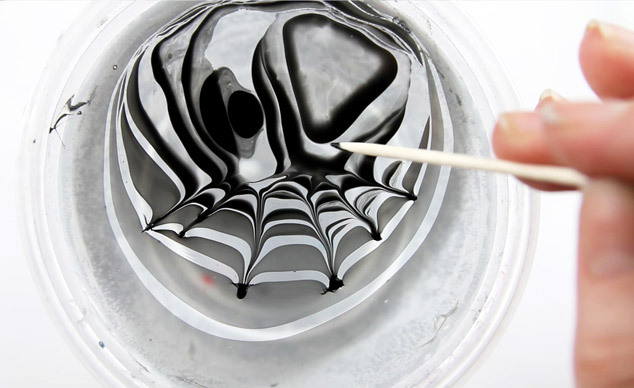 This is a more complex design than some of the other tutorials I have made and will take quite a bit of time, but the results are pretty cool and worth the wait if you are a Spiderman fan like me. The Spiderman nail art tutorial shows you each step of the process I took to creating these nails so should be easily recreated. I would really recommend getting a good nail art pen for creating nail designs, I use the Barry M Nail Art Pen Black as it draws just like a pen. It doesn’t feel like you are using nail polish but feels more like using a felt tip pen so you have a lot of control. You can achieve quite fine and accurate results, it gives a solid colour and it lasts a long time. It isn’t the narrowest of nibs but is one the best nail art pens that I have found. Please like the video and subscribe to my channel. If there are any ideas for nail art designs you would like to see me do please leave them in the comments.